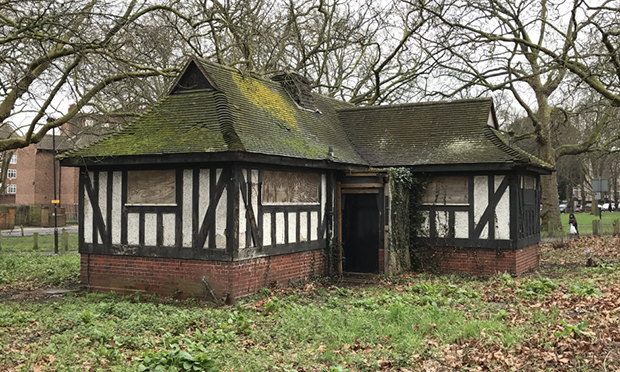 A run-down toilet on Clapton Common is to get a new lease of life next year, as a long-running project to turn it into a community venue nears completion. A group of local residents first pitched the idea in 2014, and has since been working closely with Hackney Council to bring it to fruition. Clapton Commons Community Organisation (CCCO) said planning permission has now been granted and renovation work, due to start in the new year, will be finished by the summer. Kate Joseph, speaking on behalf of CCCO, said the group is now inviting applications in its search for the “right tenant” – ideally a business with a “food element”. She said: “As a diverse group of local residents, CCCO believes in fostering closer community cohesion and improving things for everyone for the benefit of the ‘common good’. “We are seeking applications from local businesses or organisations that align with this constitutional aim, ideally with a food element. “As the building is on common land it is also subject to the planning requirements of being used for the benefit of the community. Joseph said the building should be ready in “shell form” next summer, with the chosen tenant responsible for the final fit-out. The tenant will be offered a generous package for the first year, with six months rent-free followed by six months at half rent, which Joseph said will help them “get their business up and running”. The tenant will also be able to terminate the agreement at any time during the first year with three months notice. After the initial twelve months, they will be offered a seven-year lease at a fixed rent of £12,000 per annum. The deadline for applications is Friday 17 November, with a panel hoping to select a final candidate by the end of the year. For more information on how to apply, please visit CCCO’s website here.